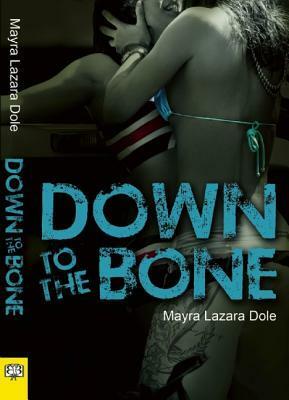 This entry was posted in Lesbrary Reviews and tagged danika, down to the bone, lesbian teen books, lesbian YA, Mayra Lazara Dole, teen, YA by danikaellis. Bookmark the permalink. I much preferred the second edition (black cover with 2 girls about to kiss, Yummy!) much better, not just because Marlena comes back and there are new chapters, but because Tazer is more well-rounded, the first chapter is completely different and racy, the writing is stronger, and instead of a note, shai gets kicked out because of texts. also, there is no mention of religion being the culprit. oh, and the teen girls no longer attend catholic school. in many ways, it was like reading a different book for an older audience and it read smoothly, quickly & delightfully.